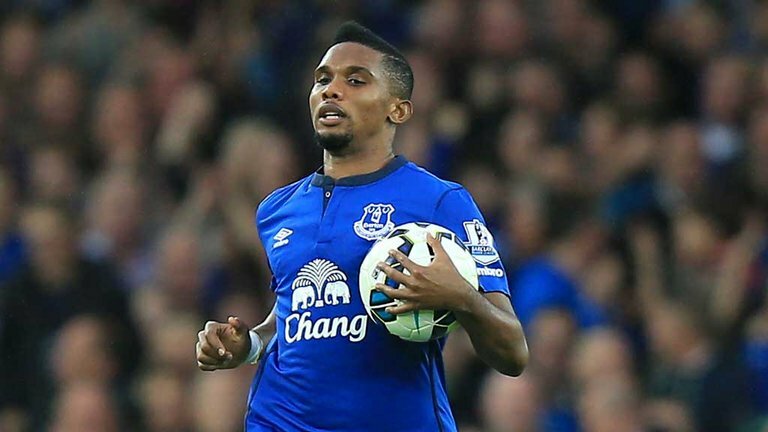 Roberto Martinez has described Samuel Eto’o as a gift from the footballing gods, and you would certainly struggle to find an Evertonian who doesn’t agree with the managers gushing statement. Eto’o has been simply sensational in an Everton shirt, his performance on Sunday away at Burnley was world class, linking Everton’s attacking play brilliantly from his deep lying forward position. His technical ability is unquestionable, his finishing remains of the highest order, but the biggest surprise has been the Cameroonians attitude, desire and commitment. If I doubted the signing of Eto’o for one moment, it was due to the way the media had portrayed Eto’o in recent years, as a greedy mercenary, travelling round Europe picking up a mega salary wherever he went. That reputation should have been instantly forgotten when he committed himself to the Blues on a fraction of the wage he could have obtained elsewhere, but it’s his on and off the pitch attitude that has done the talking. Eto’o has set a fine example, working hard with the young players, taking Romelu Lukaku and Ross Barkley in particular under his wing. He has accepted a role as a squad player, knowing that despite his bulging trophy cabinet there will be games when Roberto Martinez opts for other players in the attacking positions. And most pleasing of all, he has brought with him a winners attitude. After equalising against Krasnodar in the latter stages of the Europa League group fixture, he immediately set about giving an impromptu team talk, urging his teammates forward in search of an unlikely victory. The crucial second goal didn’t arrive, but the Everton players heeded the words of the three times Champions League winner and pushed forward with a renewed energy. Everton look a dangerous team with Eto’o in the side and whether he takes to the field on Saturday against Swansea, or the manager decides to rest him for the midweek visit of Lille, I for one am looking forward to seeing an Eto’o inspired Everton continuing to progress both at home and on the continent.